Everything Geof Hancock and his family do is homegrown. In the summer they run Hancock Family Farm in Casco, Maine, growing vegetables organically for the local CSA (Community Supported Agriculture) program and farmers’ market circuit. In the winter Geof builds over a hundred effects pedals by hand, while his wife makes guitar straps. They sell them on Reverb and put the profit back into the farm. It’s a story that pops up again and again on the site: someone with a love of music and gear dabbles in building, restoring or flipping, and it soons becomes a legitimate source of income, if not a full-time business. 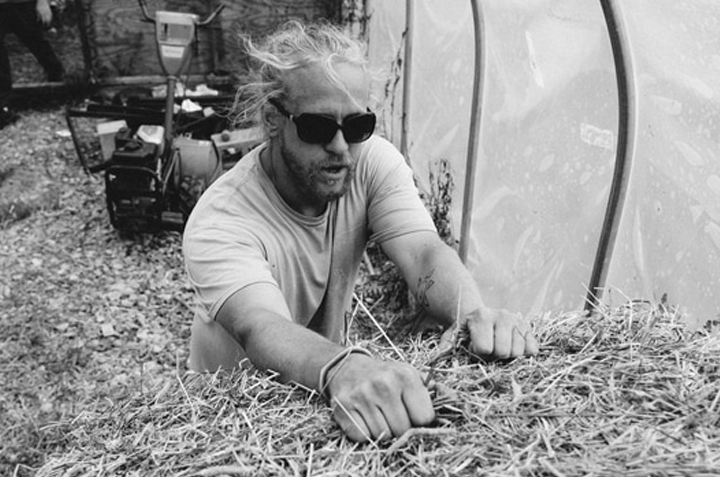 In the case of the Hancock family, they’ve developed a unique symbiosis, fueling their work on the farm with their gear business. As Geof puts it, “When you run a farm, all money is farm money.” Fuzz pedals and canvas straps turn into fertilizer and seeds. 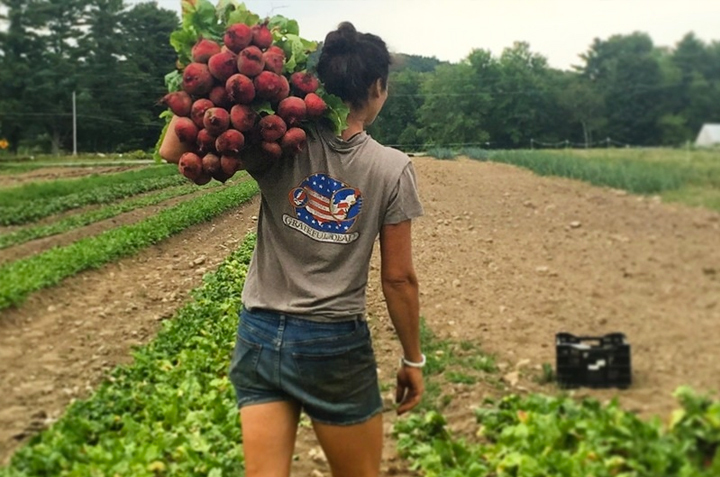 In the same way the people they meet through their CSA and at farmers’ markets become a community, the Hancocks have found that same sense of connection through the people buying their gear. “People might buy one pedal because it’s going to a good cause. Many of those people come back and buy a second or third one. There’s a personal connection. People want something that someone else put hard work into, something that the builder thought was interesting,” Geof says. 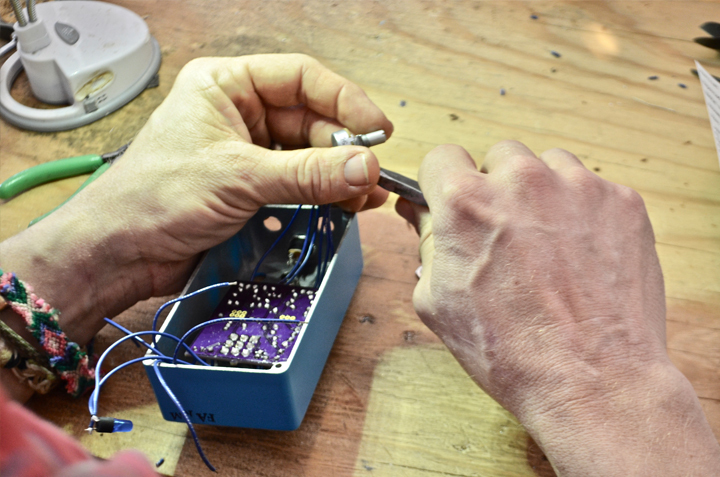 We recently jumped on the phone with Geof to learn more about his particular Reverb story, how he approaches the design of Farm Pedals, and the challenges of the seasonal build/grow cycle. Which came first: the farm or pedal-building? The farm by a long shot. We’ve been working the farm for over a decade, but I’ve only been building for a couple years. We mostly grow mixed vegetables - carrots, cucumbers and other small plants. We raise some animals, but not a ton. We set up farm stands, hit the markets. We actually moved the farm from a mountainside spot in western Maine that was off the grid to my hometown [Casco]. It was stunning but rustic. For years, we had no Internet, no phone. When we moved about two and a half years ago, it was like Technicolor. I was a grown man, 37 years old, and I had never lived with the Internet. I didn’t sleep for the first six months because, as it turns out, the Internet is amazing. What got you into building pedals in the first place? I had a buddy here in Maine who had built a guitar amp out of an old Hammond organ chassis. That’s something I wanted to try myself, so I researched it online, bought an old chassis and necessary parts, and gave it a shot. From there, I figured if I could build an amp, I could probably build a pedal. I bought some kits online, and it just kind of snowballed from there. That was two years ago. 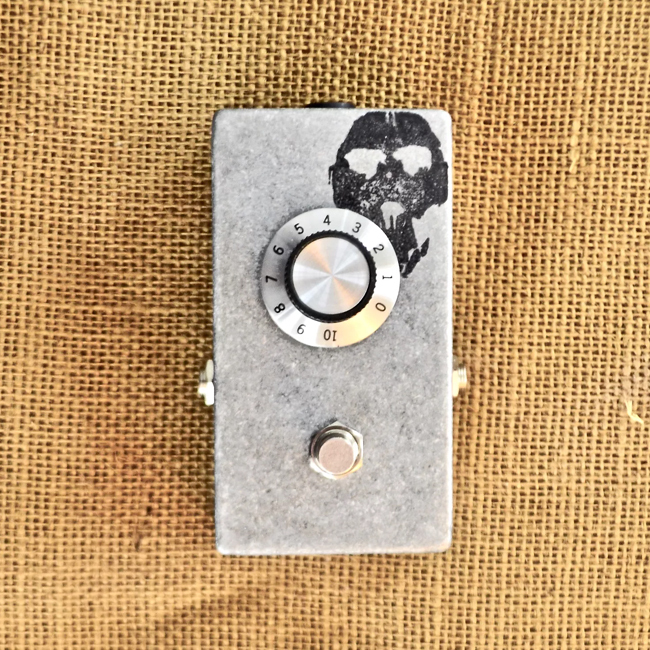 I listed my own first pedal on Reverb about six months after learning how to solder. Some people might find that surprising. I think a lot of people who dream about building their own stuff imagine a higher barrier to entry than that. That’s the thing about the Internet. You can learn anything. You just have to be ready for failure. I have a box full of broken pedals that didn’t work out. There was a lot of trial and error. I got a cheap soldering iron, watched lots of videos over and over, and used the instructions from the pedal kits I bought. I eventually developed my own rhythms. After working with a lot of kit builds, I thought I could take the next step and work with stripboard, you know, things made with Veroboard. I took it one step at a time, first just emulating my favorite pedals, learning from the masters. When you see how a classic Big Muff is built, for example, it helps you wrap your head around what you want to do. From there it was more trial and error. I got some breadboard and old schematics of classic pedals, and popped components in and out of the classic design, modifying it and experimenting with how it affected the tone. That whole first year, I didn’t use anything like a Peak Atlas component analyzer. I was just swapping things in and hoping for the best. Some of it worked out, some of it didn’t. I downloaded free stripboard circuit design software and experimented with that a bit. Then Brian from Spruce Effects turned me on to EAGLE, which is this PCB [printed circuit board] design software. He’s actually helped a lot of people in that realm. I started using that to create some homage-type pedals, but I also started doing some of my own things. I’ll order [circuit] boards in the fall and then spend the winter populating them and creating my own schematics for prototypes. I’m still figuring out where my mojo is, you know. I’m not as smart as the Chase Bliss guys or as innovative as the guys from Z.Vex, but I enjoy it. I enjoy the challenge of trying to figure things out. Who do you look to for inspiration among pedalmakers? Matt from IdiotBox Effects. I think that guy is a titan when it comes to conveying what is interesting to him through his pedals. Z.Vex is great. Brian at Spruce Effects has been a huge help. The Pelican Noiseworks guys are doing tremendous stuff. I love their Pelitaur. There are so many builders out there continually doing great things. I’m this weirdo making pedals only six months out of the year, not dedicating my whole life to it. But everyone I’ve talked to in the pedal community has been so supportive. The pedal market is a big pie, so there are a lot of slices to go around. Innovation isn’t even always what people are looking for. They want something personal and honest, familiar but with its own flavor. Just look at craft beers. People eagerly sip different IPAs, for example, expecting it to still taste “like an IPA” while wanting it to be somewhat unique. If it’s local, even better. The demand for overdrives and fuzzes is no different. The biggest thing for me has been relationships. I can’t believe how many people have bought my pedals that I’ve gotten to know personally. They may buy the first one because they know the backstory, but then they’ll buy two or three more because there’s a personal connection. That backstory being that pedal sales support the farm? What percentage of it actually goes back into the growing, harvesting and selling vegetables? The short answer is that is all goes back into the farm. That’s the thing about running a farm. It’s different than having a regular job in that all my money is farm money. The first year I built pedals, it was just an experiment. But it ended up making a profit. I reinvested in circuit design software and got a bit more organized, realizing that this could be a real thing that could pay for seed and fertilizer. It’s no small investment with all the components needed to build pedals. It’s kind of a gamble. But every dime we make goes back into growing the farm. Let’s talk about the pedals you’re currently making. Which fall more into the homage camp, and which ones are the more original designs? The Skullfuzz that I do is a pretty close tip-of-the-hat to a Ram’s Head Big Muff. 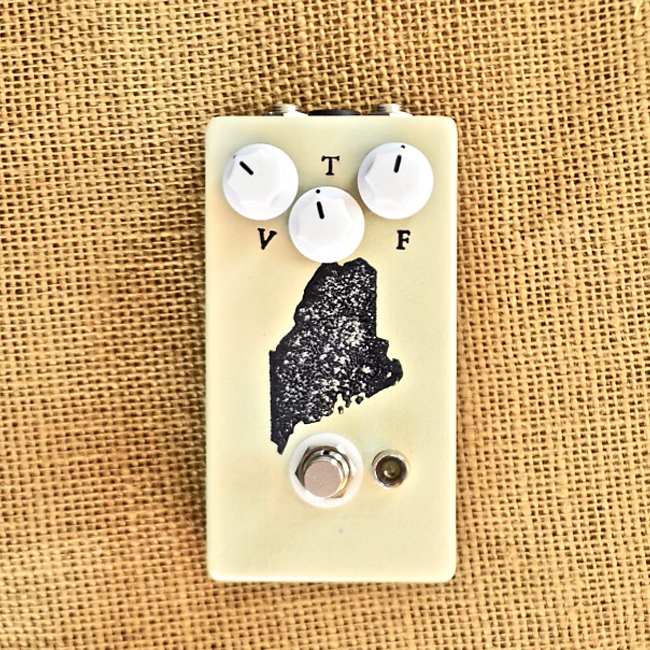 The 20th Maine is another Muff-type fuzz, but I’ve tweaked it a bit to change the way it adds gain. The tremolos that I’ve been building are based around that first Hammond tube amp I built. That amp has an amazing tube-driven tremolo. I had to modify it a lot to work with 9 volts, but the general structure is there. I’m also developing a dual-stage preamp based on that amp. The things about organs is that they have such a wide dynamic and tonal range, so that really comes through in the amp designs. I really liked using the one-knob Colorsound fuzz as a starting point for some of my designs, just radiating out from there. The Evolution Fuzz that I make, for example, started with that classic design before I added to the schematic with my own ideas. 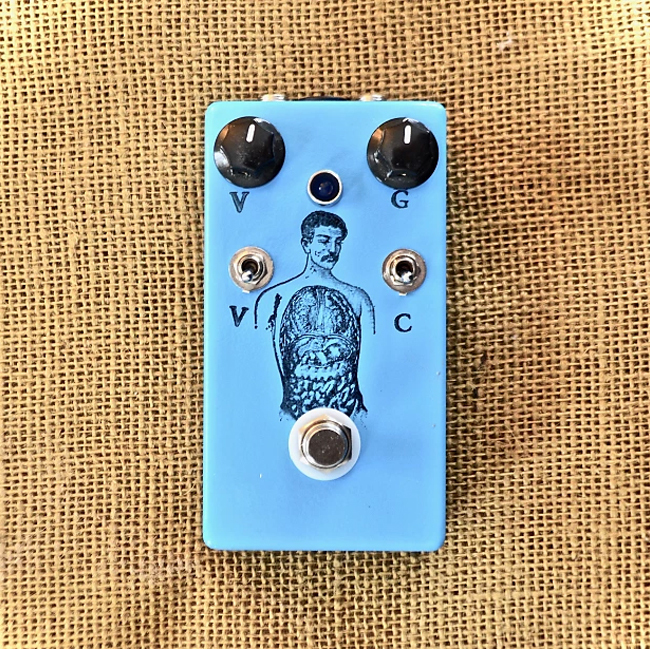 I build another pedal called Hammond’s Organs, which is sort of a distortion box. It also goes back to that first amp build. I’ve gotten a lot of great feedback on that one. That pedal in particular has evolved with me, so each one is built slightly differently. And it’s just you building solo? I’m the only one building Farm Pedals right now, all by hand. 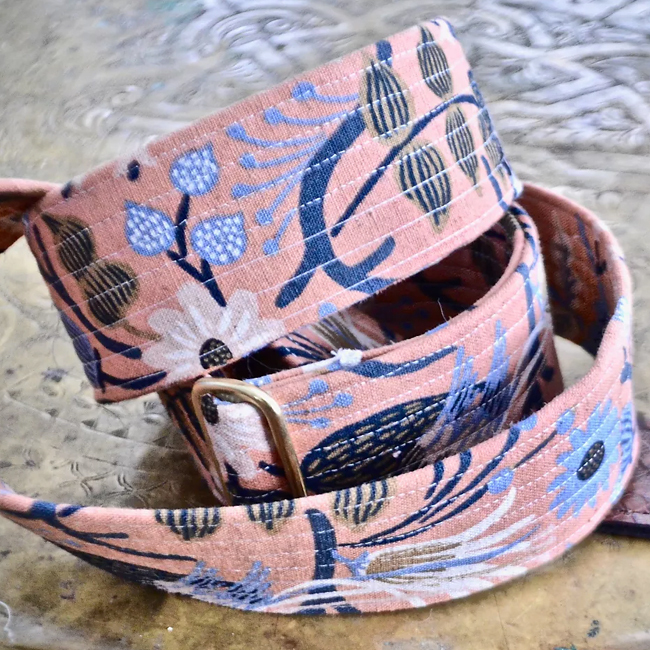 My wife makes heavy duty guitar straps. She’s a great quilter, so we sell those under the brand. But the pedals are all me. I have a lot of flexibility. I can change things on the fly. And if it fails, it’s not going to be the end of me. I haven’t put all my eggs in this basket. It’s not like I invested half a million dollars in building this brand and a big operation. Would you hire people and build the operation if it grows to that point? I’m just trying to be in the here and now. If it continues to grow, we’ll take a look at the next step at that point. Everything has been customer-driven so far. I’ve gone in directions that players have wanted me to go. It’s a balance of doing things interesting to me that still solve my own problems but also resonate with others. My kids are interested. I have two daughters, and they already know the difference between JFET and germanium transistors. I just want to have fun building and make pedals that other people are going to have fun using. That’s really what music is about, isn’t it?